The Paleo Diet was created by Loren Cordain, Ph.D. and is designed to mimic the way human ancestors ate. According to experts, the incidence of many of today's diseases was nearly nonexistent back in the Paleolithic Era and they chalk that up to the diet of ancient people. Just as with most diet plans, there are acceptable and unacceptable foods that you can include. Understanding what foods belong on the Paleo Diet can help you achieve the success you desire. 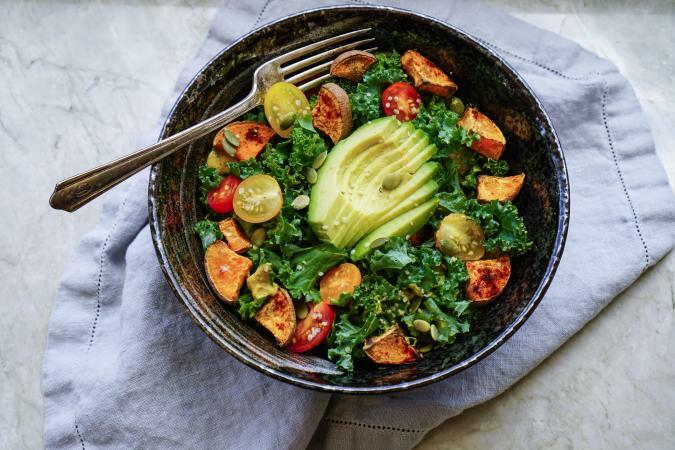 Many people choose the Paleo Diet to lose or maintain their weight, but some choose the meal plan as a way to prevent many of today's illnesses, like diabetes or heart disease. The basic idea behind the diet is that you can only eat foods that ancient cave people were able to eat. That means the diet is low carbohydrate and heavy on plant foods. That also means you won't be able to eat sugar, legumes, dairy or grains, according to U.S. News and World Report. However, you still have many options. Check out all the foods you are able to eat and chances are you won't feel deprived. Protein foods are important because they support many of your bodily functions, keep your skin healthy and support healthy muscle function. Fortunately, if you decide to follow the Paleo Diet, you won't have to give up many of your favorite protein foods. In so-called caveman days, people ate the meat they could hunt, which meant wild game in addition to today's common choices. The following protein foods are ideal choices for the diet, according to the Official Paleo Diet. Try chicken, beef, quail, veal, salmon, lamb, goat, bison, lobster, shrimp, bacon, pork, turkey, chicken or clams, suggests The Ultimate Paleo Guide. These are great options as the base for a healthy Paleo meal. Because ancient ancestors weren't able to refrigerate or otherwise store fruits and vegetables like today, the bulk of their diet consisted of fresh options. Cordain suggests having large salads for lunch, enjoying spaghetti squash to replace pasta and having berries or other fruit for dessert. You can also include your favorite fruits and vegetables at breakfast, cooked or raw. There's really no restriction on what fruits and vegetables you can eat on the Paleo Diet, but the Ultimate Paleo Guide gives you several options to get you started. You might be surprised to learn that cavemen did eat some types of fat. They are essential for your brain and give you energy, something that was pretty important back in the day when people had to hunt, gather and otherwise work all day long. Don't worry - these fats are good for health and won't interfere in your weight loss goals provided you eat them in moderation. According to the Ultimate Paleo Guide, the following fats and oils are acceptable. Cordain also advocates walnut oil and flaxseed oil. You can use these oils and fats for cooking, making marinades, salad dressings and other purposes that you'd use other types of cooking fats for. Nuts are an important part of the Paleo Diet. They provide a lot of nutrients and were easy to grow and gather in ancient times. They are also full of healthy fats, protein and other vitamins and minerals that your body needs to stay healthy. Nuts are high in calories so eat them in moderation if you want to drop excess pounds. The following options are recommended. While knowing what you can eat on the Paleo Diet is important, understanding what's off limits is also a good idea. That way you can follow the plan as closely as possible. Cordain tells followers of the diet to avoid the following foods. You should also stay away from soda, high-fat cuts of meat, energy drinks and grains, according to the Ultimate Paleo Guide. For some, including Cordain, skipping dairy foods is necessary because these foods weren't around during ancient times and some experts feel they play a part in disease. Consider Cordain's stance, which he outlines in The American Journal of Clinical Nutrition. He says the following. Cordain feels that many diseases can be blamed on the introduction of new food processing and access to new foods that directly clash with the human genome. Processed dairy foods replace healthy whole foods in meal plans, which alters nutritional intake. However, other experts advocate including dairy as part of the Paleo plan. Several studies have shown that dairy foods can have positive health benefits when included as part of a well-balanced diet. Consider the following evidence that shows the nutritional perks of including dairy with the Paleo diet. According to the Harvard School of Public Health, certain components in dairy foods help cut the risk of developing Type 2 diabetes. This component, called trans-palmitoleic acid, is not produced by your body and can only be found in milk, cheese, butter and yogurt. In addition, consumption of dairy foods can help reduce the risk of insulin resistance, a precursor to diabetes as well as cutting the risk of heart disease, according to research published in the Annals of Internal Medicine. Additional research published in the European Journal of Clinical Nutrition notes that including dairy in your diet cuts the risk of dying from cardiovascular disease by nearly 70 percent. Clearly, choosing whether or not to include butter on your version of the Paleo plan is a matter of preference and personal opinion. Use the information available to help you make the best choice possible. Don't forget that milk is also a great source of calcium and protein and is often fortified with vitamin D.
Clarified butter, which many assume is a dairy food, is a hotly debated food item on the Paleo Diet. On the one hand, some recommend staying away from dairy, but on the other hand, clarified butter is nearly free of milk proteins and sugar due to the way it's prepared, note the experts at Paleo Leap. This allows you to stick to the outlines of the Paleo diet. Clarified butter, also called ghee, is made by melting butter at a low temperature and removing the foamy materials at the top. It can be used for many purposes, such as sauteeing, roasting or stir-frying. Again, including it on your Paleo Diet meal plans is up to you. These nutrients are essential to your health, so it pays to ensure that you're getting enough of each. Because dairy and grains are primary sources of these vitamins and minerals, you may want to talk to your doctor about a supplement that can help you fill in the gaps. 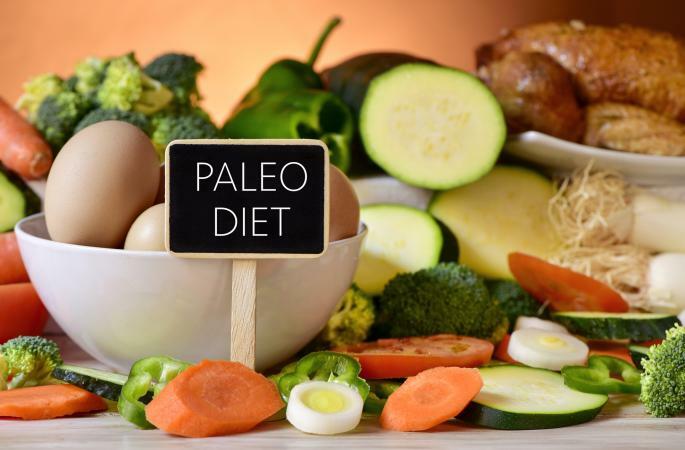 You can be successful on the Paleo Diet, though it is rather restrictive. You'll need to make a commitment to the plan and be sure you stick with the eating recommendations. Of course, you should always talk to a doctor before starting a new diet, but otherwise you can enjoy healthy and delicious foods and feel good about your health at the same time.